Elegant pure-white blooms. 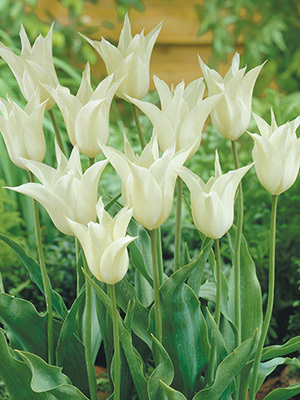 A very long-lasting tulip and works well with any colour combination. Mid to late season flowering, 60 cm tall.